When I am using canvas board, I start off by texturing it with all sorts of ripped card, paper and stencil, sticking them down with PVA glue and water. Usually I use musical note paper, and pages out of old Shakespearean texts such as Romeo and Juliet, and Macbeth. Another texturing effect that works brilliantly is tissue paper. The reason I use different types of paper and card is to enhance the board, so not only are two boards the same but it gives my paintings a great ‘rough’ look. 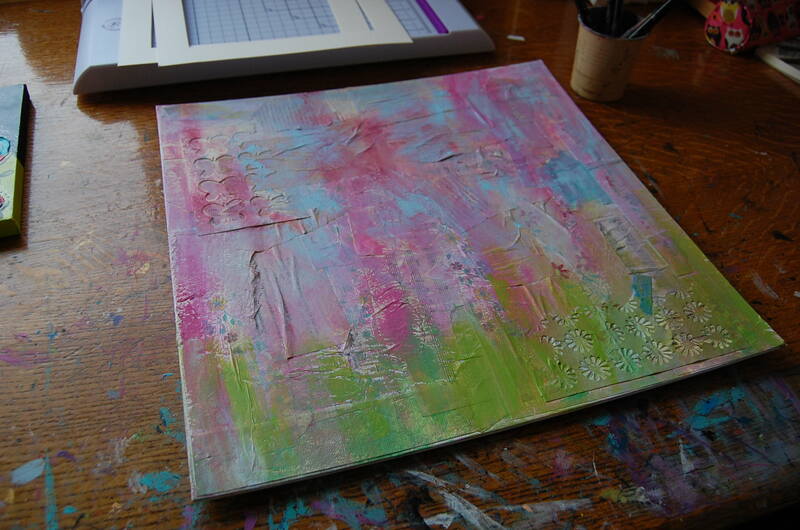 I have not yet decided what to paint on this 16×16 inch textured board…. but will definitely be posting the results when I do!